The Police Benevolent Foundation (PBF) and the Mississippi Police Benevolent Association would like to express its deepest sympathy to the family, friends and fellow law enforcement officers of Eupora Police Department as they mourn the loss of Police Officer Keith Crenshaw. Officer Crenshaw was struck and killed by a vehicle while deploying a spike strip during a vehicle pursuit on U.S. Highway 82 on Wednesday, October 23, 2013. This beloved officer had served the Eupora Police Department for 10 years and leaves behind six children and five grandchildren. Officer Crenshaw paid the ultimate sacrifice, and it is with a heavy heart that the Police Benevolent Foundation asks for the help of the local community to aid in their efforts to provide much needed support for this deputy’s beneficiaries in their time of need. 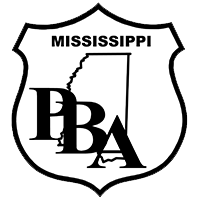 The PBF and the Mississippi PBA (MSPBA) will be hosting a fundraiser in the parking lot across the road from Murphy Drugs in Eupora, MS this Friday, November 15, 2013 from 6:30am until 5:30pm. Murphy Drugs is located at 406 Veterans Blvd on the eastside of Veterans Blvd. (Hwy 9). The MSPBA is encouraging all local citizens to come by and make a quick and easy donation to aid the survivors of Officer Keith Crenshaw. All proceeds collected will go to the “Officer Keith Crenshaw Memorial Fund” which has been set up through the PBF at Regions Bank. Another way to give is by visiting the Police Benevolent Foundation's website at www.pbfi.org. Simply click on the “Donate Now” link and be sure to designate the donation to the “Officer Keith Crenshaw Memorial Fund.” All donations made through the Police Benevolent Foundation’s memorial fund for Officer Crenshaw are tax-deductible, and 100% of the money will go to Officer Crenshaw’s beneficiaries. The PBF is asking everyone to please pass this information along to friends and family. Officer Crenshaw’s family will need all of us to rally behind them in these hard times. The Police Benevolent Foundation, Inc is a tax-deductible 501(c)(3) organization established by the Southern States Police Benevolent Association, Inc. (SSPBA) in 2005. Established in 1987, SSPBA has been serving its membership for 20 years. SSPBA is not a union. It is an independent association with no national or international affiliations. The Foundation has a Board of Directors elected by the membership of the SSPBA. Foundation expenses are currently absorbed by Southern States PBA, making the Foundation one of very few such entities that gives 100% of the funds received to its intended purpose.